Much in life can be easily taken for granted. The beauty of the sunrise, the food on our tables, the love within our families. Sometimes the greatest blessings in our lives have been invisible to us, and yet right under our noses the whole time. The members of Taken 4 Granite know that sisters, mothers, daughters, friends, and God-given gifts can easily be underappreciated and overlooked. In the autumn of 2013, the quartet seized the opportunity to come together-- sisters, mother, and friend when Christina came back to live at home after being away at college, and prior to Samantha going away to college-- to NOT take each other or the music we can create for granted. Family barbershop quartets are oft seen, and perhaps the Tramack family is one of the better-known barbershop families around. Renée is a Certified Singing Judge and current Category Director, award-winning chorus director, quartet champion, and coach. Renée has been singing, competing in, and directing barbershop for more than three decades. 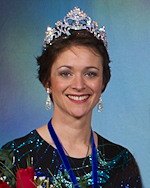 She won her first crown singing bass with Showcase, the 2009 Harmony Inc. International Champion Quartet. 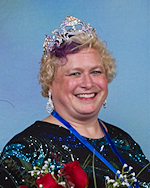 Renée is the director of New England Voices in Harmony, the 2014 International Champion Chorus of Harmony, Inc. Her husband Steve is a Certified Music Judge, award-winning director, quartetter, renowned coach, and arranger. Naturally their offspring, Christina, Samantha, and Joshua, have blossomed in their singing and performance abilities. The family can be seen singing around as The Von Tramack Family Singers. Christina has been exposed to barbershop all of her life, and started singing and competing as a member of New England Voices in Harmony in 2004. She started singing with her first quartet, Cloud 9, in 2009 which became International 5th Place medalists in 2011. Christina has also competed with the quartet Sister Act with her sister, Samantha, and another set of sisters from Gardiner, ME. While in college in Nashville, TN she sang with the Sweet Adelines chorus, TuneTown Show Chorus and the quartet, Top Shelf, which won the Rising Star award in Region 23 for best youth quartet in 2013. She has also had some directing experience as the Area 2 Generations Director. Samantha is a junior in college, and keeps busy singing in multiple choirs in school and also playing multiple instruments in school bands. She started singing and competing in the barbershop world when she joined New England Voices in Harmony in 2007. She competed with her first quartet, Three and a Half, singing lead in 2009, then tenor in Sister Act in 2012, and baritone in 2014 with Family Fun. 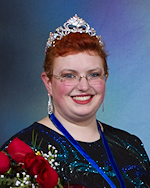 She also sang bass with the Sweet Adelines Region 1 Rising Star quartet, Soundarella, who competed in August of 2015 at the International Rising Star Contest in AZ and received 2 place! 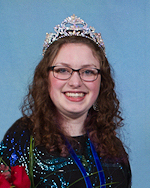 Sam has also gotten her feet wet with some directing, primarily the Generations Chorus, and Minor Chords at various Harmony Inc. contests, assistant Drum Major for her school band, and Music Director of the acapella group, Mixed Emotions, at Plymouth State University. Samantha is currently working toward a degree in Music Education. Katrine met the Tramack family, and therefore barbershop, in 2005 when she joined New England Voices in Harmony. Her first quartet experience was singing with Renee in a chapter quartet named Timeless. She first competed along with Renee in their quartet, Showcase, in 2007. They won international gold in 2009. The Tramack family and the Dickau family have grown very close over the years, and Kat's sons, Erich and Bergen are like little brothers to Christina and Sammy. Kat has her degree in Environmental and Forest Biology and on a weekly basis is found teaching children about nature as an educator for Beaver Brook Association in Hollis, NH. Kat enjoys other hobbies including flying powered parachutes, hiking, cycling, playing fiddle in a duo called Tale with her husband Perry, and playing/singing/writing contemporary Christian music as a part of the worship arts team at her church.